Let your next audit be something to celebrate. With huge amounts of product entering a plant on a daily basis, food safety is a top concern in these environments. At the same time, the food processing environment routinely attracts pests and aids in their survival. 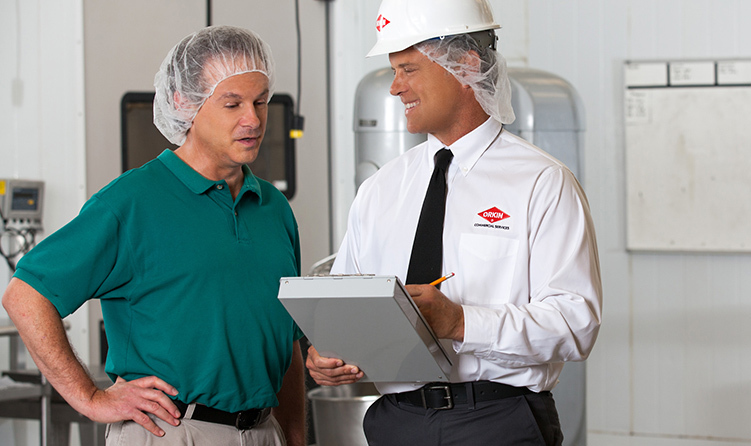 Nearly every producer and warehouse of food or food-packaging products is required to undergo regular, third-party food safety audits. Pest control is a major part of these audits, up to 20% of the total score in some cases. If a company doesn’t score well on their audits, they can lose large and valuable customers, which include massive food distributors, retailers and restaurant chains who are focused intensely on making sure they are getting high-quality products from these companies. In the case of a visible pest infestation, these facilities can be shut down until they fix the problem. In a business where every hour of plant downtime costs thousands of dollars, this is major. And the ripple effect of lost business can be catastrophic if the shutdown makes headlines. For these reasons, decision makers in this industry need a pest management provider who is reliable, effective and experienced in working with audited facilities. For more information on how your business can benefit by the services of Orkin, request a free consultation today. Let us work with you to develop a customized pest control program. Or schedule a call with an Orkin Chile Pest Control Specialist today and get a FREE estimate.